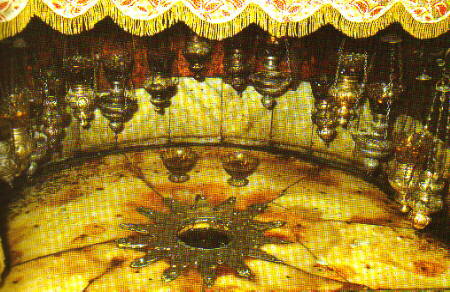 The Expected Place of Christ's birth, CHURCH OF NATIVITY, BETHLEHEM. The Church of Nativity was built above a cave which may have been the place of Christ's birth. The cave with the star represents the place of Christ's birth. Within the church there is a recessed area on the right which marks the place where the manger stood.